Jennifer Aniston still loves SmartWater! Choose your Britney Spears fantasy! Ashton Kutcher and Popchips caused controversy! 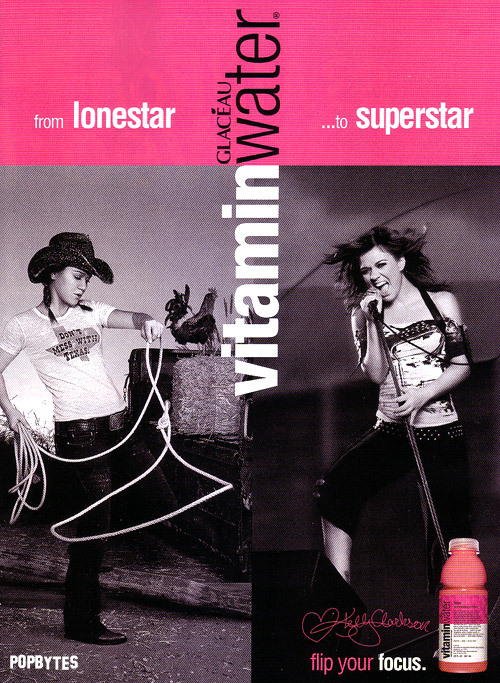 Kelly Clarkson’s Vitamin Water ad!